Critics of the California Lottery often liken it morally to gambling, that with the odds of winning — you're just throwing away money. Whether you think it's gambling or not, there are thousands of Californians literally throwing away millions in lottery winnings. In the case of Sctatch Offs that's exactly what's happening. Playing Scratch Offs isn't as simple as it sounds. Even Lottery officials admit players don't always know if they've won. 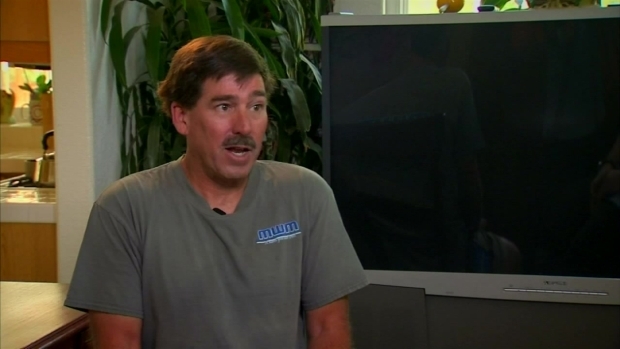 Matthew Hines isn't looking to change his life with a Mega-Millions win. "I just play the Scratchers," he said. Alex Traverso, a Lottery spokesman, said Scratcher sales are the predominant driver of its sales. "I won 500 bucks once," Hines said. But it might be hard to understand if you're a winner. Recently Hines bought a "Price is Right" Scratcher. 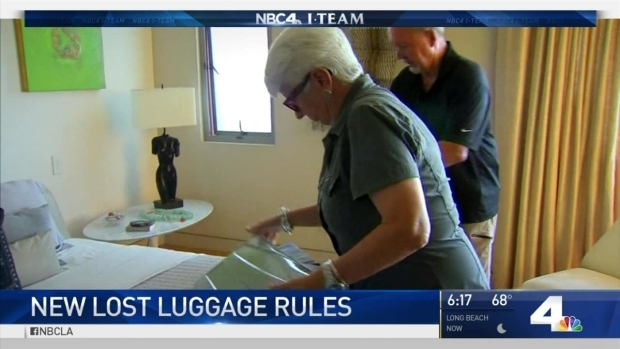 A Manhattan Beach couple says it took 49 days for an airline to return their lost luggage. Randy Mac reports for the NBC4 News on Tuesday, Nov. 15, 2016. "So I scratched everything off, I didn’t see a winner," he said. "They have these little machines where you can scan the bar code and see if you won. So I did that and it said I won $15." Hines said he was in for more surprises when playing a Crossword Puzzle Scratcher. "I scratched the letters off," he said. "I got one of those words and then it said 'scratch this prize off.' You win that prize I scratched the prize off it says 20 dollars." Traverso said it's not quite as simple as just scratch off three things that look alike and you win your prize. The lottery says the more expensive Scratcher tickets are larger with more games on them and that Hines is not alone in his confusion on how to play. 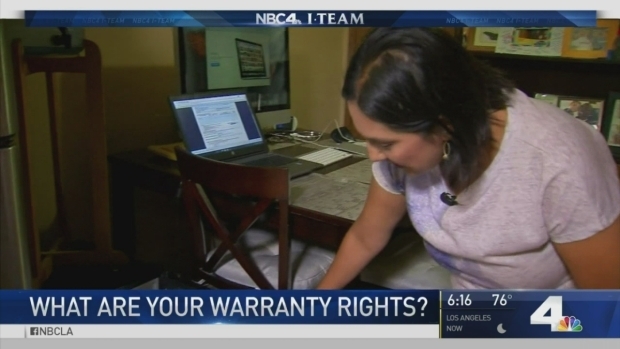 A Redondo Beach mother says when her refrigerator broke down, Sears tried to stick her with a mini-fridge replacement. She didn't think that was fair and called the I-Team. 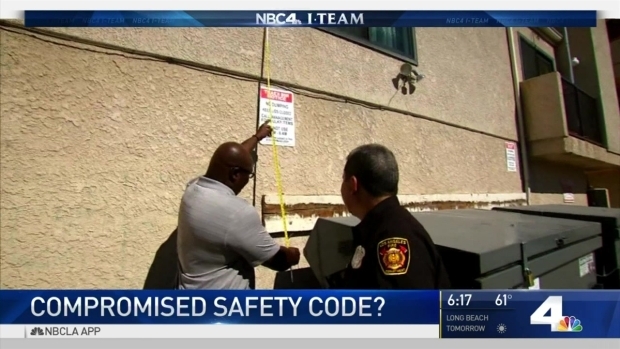 Randy Mac reports for the NBC4 News on Monday, Nov. 14, 2016. The Lottery averages around, $20 to $30 million in unclaimed prizes every year. "It's like how many times have I actually won and thrown the ticket away based on that," Hines said. The California Lottery's website has video tutorials on rules and how to play new games. You can also verify your ticket there or, like Hines, scan the bar code. But Hines admits so much work for what should be easy, instant gratification takes away from the excitement of playing. Hines said he's not going to continue playing as much as he used to. The California Lottery said $20 to $30 million in unclaimed prize money is transferred to California public schools. The Lottery earned $1.5 billion for schools last year. For the last six months, Tony Morrison has been receiving bills from Frontier Communications. The trouble is, he is not one of their customers. Randy Mac reports for the NBC4 News on Thursday, Nov. 10, 2016.